Griffin has announced the launch of a new accessory for the Apple Watch, the Griffin WatchStand which is designed to be used with Apple’s new smartwatch. The company has said that they will be launching the WatchStand this summer for $29.99 and this will be the first of their accessories for the Apple Watch. 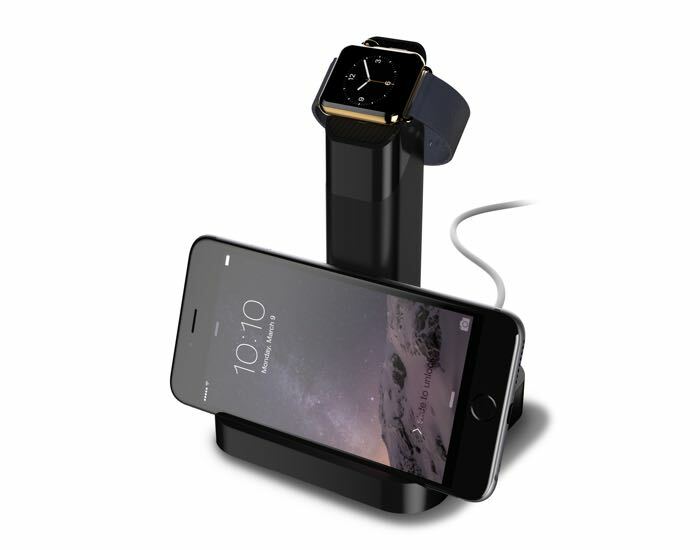 WatchStand displays Apple Watch on a sleek pedestal, and can be placed on any nightstand, tabletop or desktop for convenient daily charging. 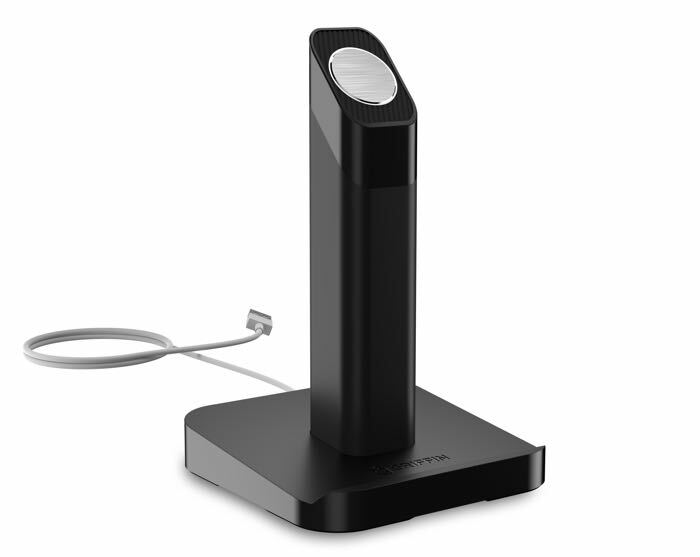 WatchStand houses the Apple-provided MagSafe charging cable in an angled cradle that keeps it ready to charge at all times. For initial assembly, the user simply feeds the MagSafe cable through the center of the post, and then, to charge each day, lays the Apple Watch against the cradle. The MagSafe connector’s magnet gently snaps itself onto the back of the watch and begins charging. You can find out more details about the Griffin WatchStand for the Apple Watch at the link below.